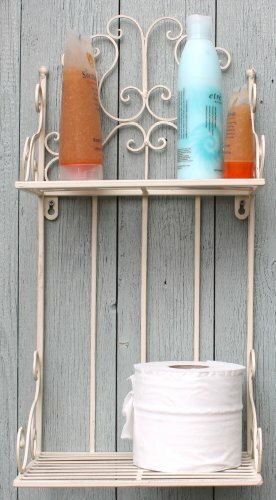 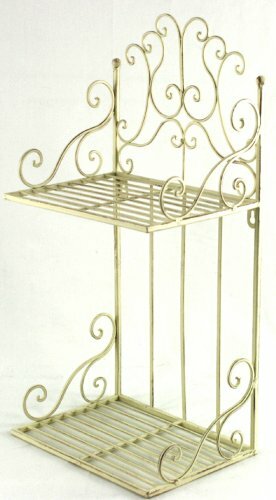 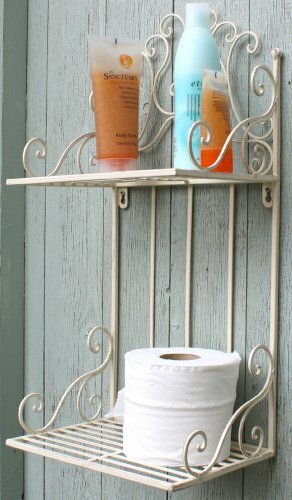 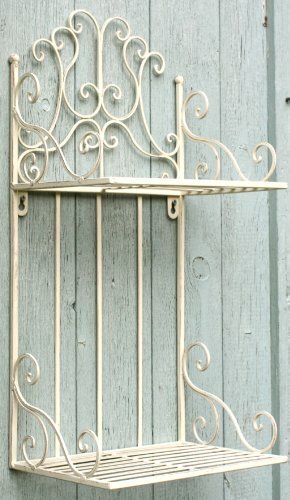 Really attractive slim but practical 2 shelf wall rack. 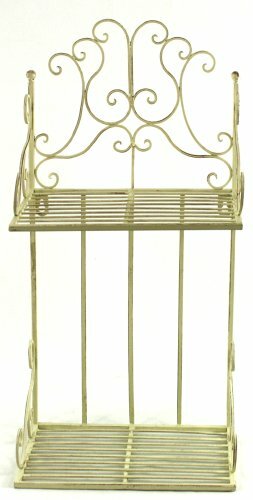 Antique cream finished scrolled metal top and sides with slatted metal shelves. 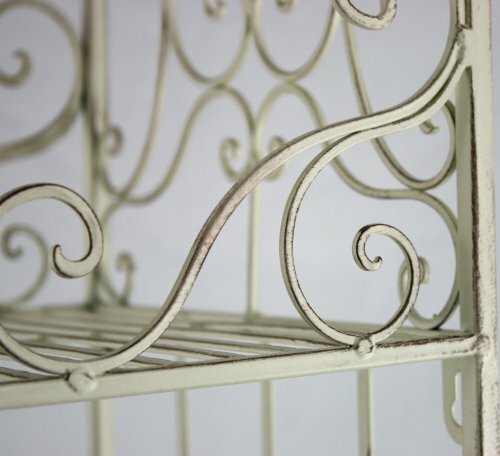 The cream paintwork is highlighted with brown brushstrokes to give an aged appearance.